The chemtrail conspiracy theory is based on the erroneous belief that long-lasting condensation trails are “chemtrails” consisting of chemical or biological agents left in the sky by high-flying aircraft, sprayed for nefarious purposes undisclosed to the general public. If chemtrails are merely a figment of imagination by loony, tinfoil hat-wearing conspiracy theorists, why are chemtrails mentioned in a Congressional bill, HR 2977 – Space Preservation Act of 2001? (2) immediately order the permanent termination of research and development, testing, manufacturing, production, and deployment of all space-based weapons of the United Statesand their components. (C) The term “exotic weapons systems” includes weapons designed to damage space or natural ecosystems (such as the ionosphere and upper atmosphere) or climate, weather, and tectonic systems with the purpose of inducing damage or destruction upon a target population or region on earth or in space. Psychotronic: Weapons that manipulate human behavior with the use of subliminal, either sound or visual, messages. Tectonic: Weapons that induce earthquakes, volcanic eruptions, or other seismic events. Introduced by Rep. Dennis Kucinich (D-Ohio) nearly 18 years ago on October 2, 2001, HR 2977 has no co-sponsors. Not one. The bill was referred to the House Committee on Science and the Subcommittee on Space and Aeronautics. On April 19, 2002, the Department of Defense gave the bill an “unfavorable executive comment,” which effectively killed the bill (see “Actions“). It is said that in 2002, Rep. Kucinich told Columbus Alive, a free news weekly serving Columbus, Ohio, that they should speak to the Pentagon regarding an “‘ongoing program’ called ‘Vision for 2020’” which was “X-files stuff.” Kucinich claimed that the U.S. Space Command has specific plans for the complete “dominance” and weaponization of space under a program called “Joint Vision for 2020.” A search for “Dennis Kucinich” on Columbus Alive, however, yielded no such article. But the United States Space Command indeed does have a publication called Vision For 2020. For the full text, click here. For more, see “Chemtrail Pilot Blows the Lid Off Operation Indigo Skyfold,” Geopolitics. 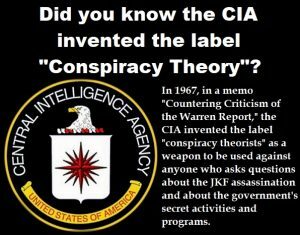 See also “Not a conspiracy theory: U.S. government has engaged in weather modification since 1953“.